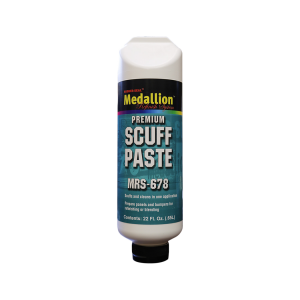 Premium Scuff Paste is a water-soluble formula that rinses off easily and leaves a clean and consistent surface so that coatings can bond more securely. This formula won't cake or stick and will totally eliminate the pre-clean process prior to coating, which saves you time and effort. Available in a 7lb. resealable container and in a 22oz. flip cap tube.